What happens around eclipses can take us by surprise. Even when we know they’re coming, their events can spring out in ambush, spin us off course and leave us dazzled and perplexed. This Full Moon is a TOTAL lunar eclipse. 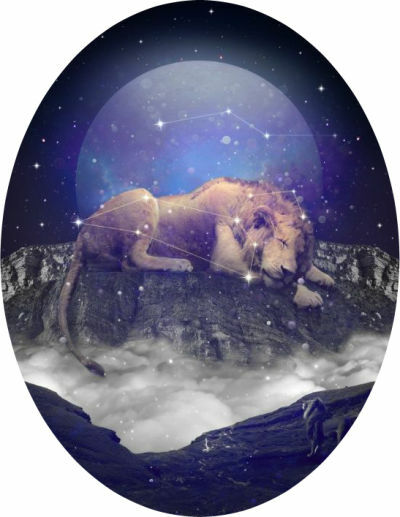 Occurring at 11º of fiery Leo, between approximately 2:45 AM PST / 5:45 AM EST, and 6:07 PST / 9:07 EST (peaking at 5:29 AM PST / 8:29 AM EST) this incredible event is just 3º from the North Node. All eclipses sit somewhere close to the nodal axis, but this one is exceptional. The North Node is a pivotal point in space which symbolizes our collective destiny, the future we are all headed for. It’s our guiding light, our highest potential. And this eclipse is leading the way. But first, as is the case with all lunar eclipses, we must face our collective shadow. Eclipses occur when the shadow (umbra) of the Earth falls across the face of the Moon, turning it a blood red color (hence its other name – blood moon). What we see, for those few moments, is the darkness that we share, in its most literal sense. Emotionally, this is an invitation to each of us, to face our shadow, to look straight into those unfavorable parts of ourselves that we normally disown or try to ignore, and accept them as ours. Not yours, or mine but ours – we’re all in this boat of life together! Events of this magnitude are inherently unifying (unlike solar eclipses, lunar eclipses can be seen anywhere across the globe, where the Moon is above the horizon) and we’re reminded here that unified is how we’ll heal what needs to be healed on our planet. But Leo is big, bold, and full of courage. It contains the warmth of the Sun and the playfulness of a child, so this Full Moon gives us an incredible platform on which to stand, to step forward into our strongest, most sovereign selves. You may not be able to control the world around you, but you can control how you react to it, and this fiery energy works best when it comes directly from the heart. So practice feeling into what this means for you, over this incredible lunation. Live, breath, speak and sing from your heart. Visualize a small Sun, sitting inside your chest. See it as a glowing, pulsing golden orb, swelling each time you breathe in. Feel its warmth radiating out to fill your whole body, and even spreading further, to touch those around you. Do this for a couple of minutes, multiple times a day and you will be aligning yourself with the heart-energy of Leo, and its strength, courage and love. Because of the very close alignment of this Full Moon with the North Node (within three degrees) what you do on a personal level is powerfully feeding into how the collective is evolving at this time. How much fun do you have? How much pleasure do you seek? How much laughter do you share? Are these things priorities for you? Do you make the time to socialize, to put down the weight of work and responsibilities, and return to a childlike state of wonder and enjoyment? A while back, I heard the channel Bashar speaking on evolution and ascension. The crux of his point was that the more fun we have, the more we relax and have fun with life, the faster we grow and change and the further we will get on our journeys. Because enjoyment, in its pure, honest form, equates to alignment. This is the lesson of Leo, and especially of this Full Supermoon in Leo – lighten up, celebrate, enjoy and harvest the fruits of your labours! Enjoy your cyclic existence, enjoy your friends and family and shower them in gratitude and love and laughter because the more you do this, the more it will seep out into the collective and become everybody’s state of normal. You weren’t put here to struggle! You are here to be challenged and to grow, but above all we are all here to experience the kind of pleasure and delight that this Leo Lunar eclipse wants to bring, if you let it in! What change are you ushering in at this lunar eclipse? How are you planning to bring more love and laughter into your life?